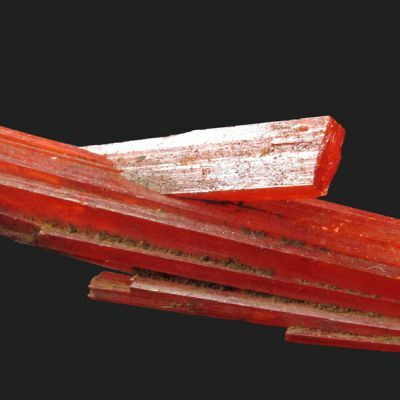 4.5 x 3.3 x 2.1 cm (Specimen); 0.58 carats; 4.36 mm x 3.70 mm (Gem) - Crocoite is really only known from a few places in the world in good crystallized examples, and arguably there is only one place in the world for good gems, though they are few and far between. 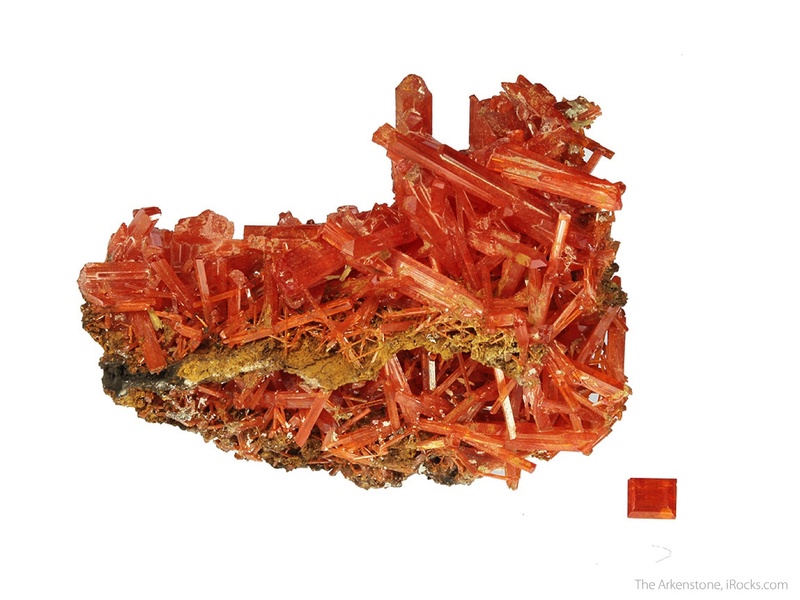 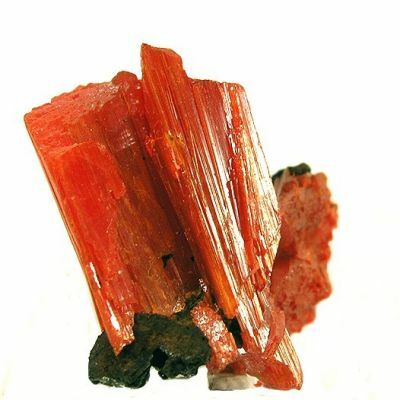 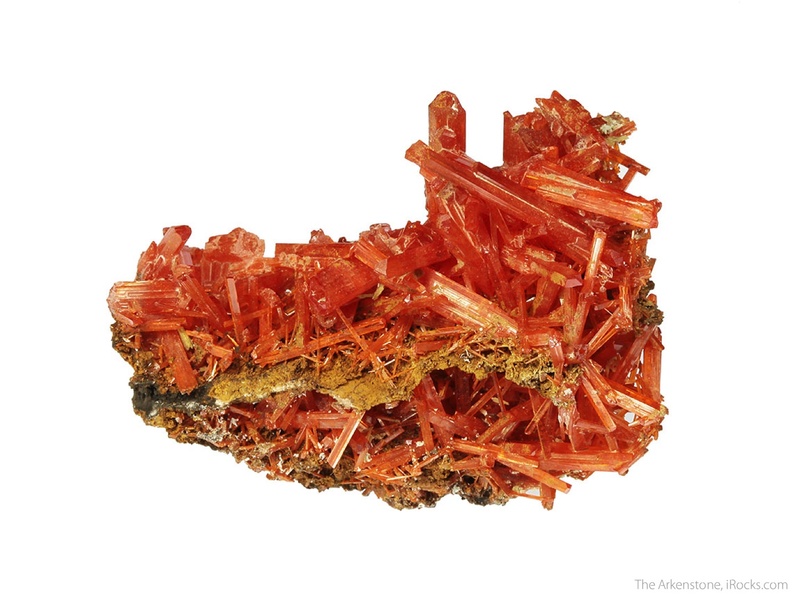 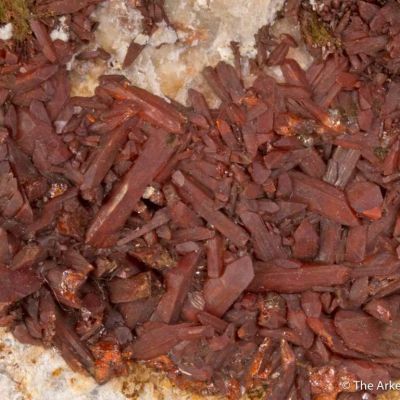 This specimen features classic, prismatic, lustrous, red-orange color crystals on matrix, which is typical for the species from this locality. 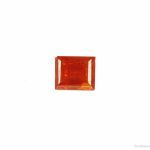 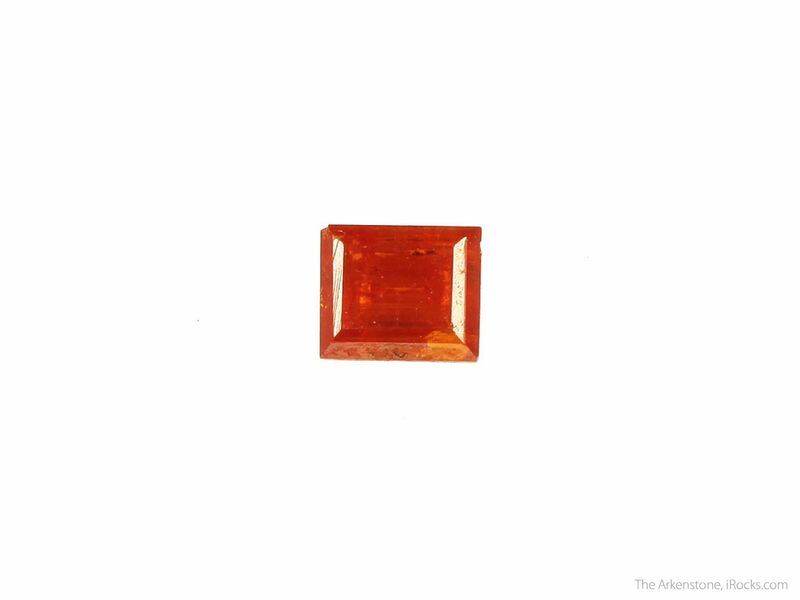 The second half of this rough and cut set features a "Rectangle" cut gem with a fairly good internal gemminess along with scintillating electric red-orange color. 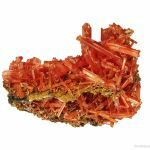 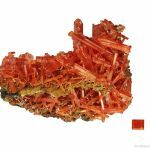 It's difficult to find any reasonably sized gems of Crocoite on the market as the crystals are almost too thin to cut, so when you get a stone like this, it's worth noting.